Yesterday we received an award for the best action research paper at the Academy of Management Annual Conference in 2016 by the Organization Development & Change Division. 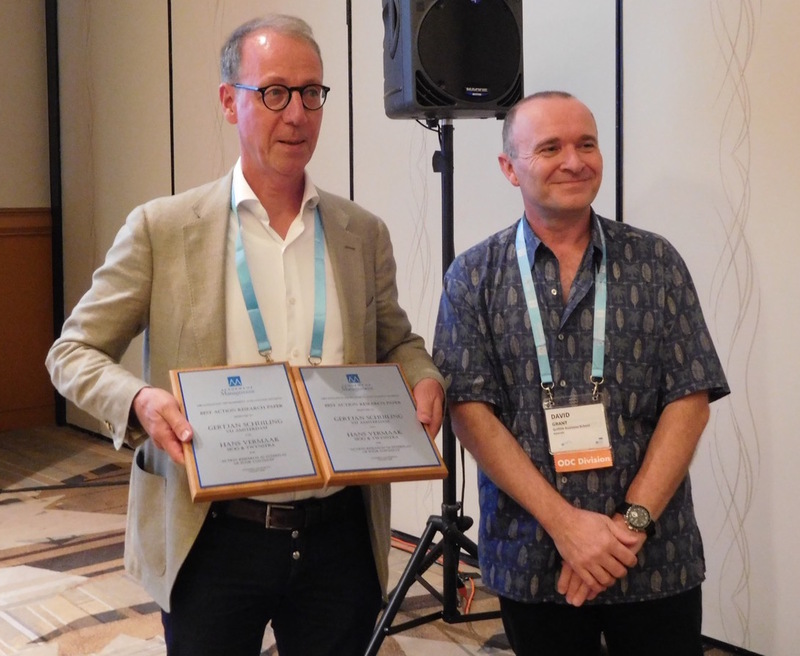 Underneath you see my co-author, Gertjan Schuiling, receiving the plaques from David Grant as on of the board members of the division. I could not be there, so you won’t spot me in the picture. Nevertheless, I am quite happy about it. The paper describes the methodology of action research as an interplay of four contexts. It is a viewpoint that has been quite helpful in designing and understanding action research. We are revising the paper at this time for journal submission. The latest version can be downloaded here.